Bakery business is a great source of earning for people who have a passion for food and want to get into the food business. Many small and big bakeries are lately cropping up as well. Therefore, bakers who aspire to run a successful business can start their bakery business in India only with small capital. Additionally, they also have an option of the offline and online bakery business. 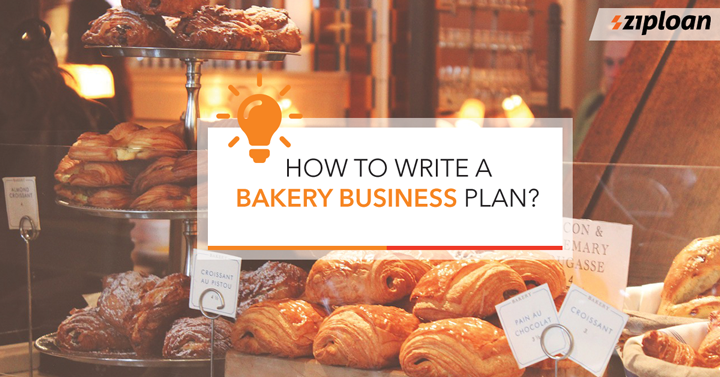 Read on to know how to write a business plan for a bakery business. The business plan should start with a summary where you will provide a summary of your business. This will be like a gateway to the business and therefore, it is imperative to get it right. Nonetheless, the summary must be short and precise. The other things to include in the plan are mission, review of legal structure, future plans, and objectives of a bakery business. Notably, the business plan should be the overview of the bakery business that includes all the strategies. Why your business will work? What are your aims and to whom you are going to cater? Who are your target clientele and what product/service you would offer? Next, you need to identify your customers and their spending behavior. Also, their purchasing power and demographics. This will help you in knowing them better and understand what they are willing to spend. The industry analysis primarily consists of the analysis of location, target audience, and competition. The SWOT analysis (strength, weakness, opportunity, and threats) helps to identify the internal and external factors that may impact the restaurant’s future. This analysis will help in identifying what may go wrong as well as will also clear the strength and opportunities that you be able to use in a better way. The operation plan will include how the bakery or restaurant will work – daily operations. It will also include staff management, the number of employees required, rules for them, job description, etc. The other pointer that it will cover is the kind of service your bakery will offer. It can be table d- Hote (TDH), A la carte, or platter to plate. Fathom from where the finances will come for a bakery business, this is the most important step. There should be a personal financial statement, cash flow statement, and balance sheet. You must know about the inflow and outflow to track where did the money go. Also, have in-depth details about the capital and expenses. Marketing is an important factor to run the bakery business profitably. The food and beverages business is getting competitive day-by-day. Therefore, bakery business marketing is very important. You must have a clear market strategy with a plan as well as the budget. You can choose either online or offline marketing or both. And for budget, you can keep aside a fixed portion from your every earning. Now that you know all the details about the bakery business plan, you can create one for your ongoing bakery business or for a new one that you are planning to start. A business plan is also very useful when you want to avail a business loan for a bakery. Also, you can register your bakery on Connect App by ZipLoan for free and connect with thousands of other bakery owners to build your business network. Previous article How To Get A Loan For Small Clothing Boutique? Next article What Are The Equipment Required For Coffee Shop Business? How To Apply For MSME Loan in India? How To Make TDS Online Payment in 7 Easy Steps? How To Retain Customers For SME? What Are The Factors That Decide Business Loan Interest Rate In Lucknow? From Where A Loan For Traders Without Security Be Obtained?